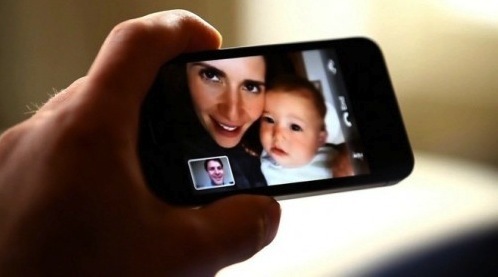 So you saw the latest iPhone 4 commercial and fell in love with FaceTime. You bring your iPhone 4 home, and you attempt to make a FaceTime connection with a friend… but nothing happens. What’s going on? It’s probably the wireless networks firewall settings. I was recently speaking with an Apple employee and they told me that most of the problems people are having with FaceTime connectivity have nothing to do with the device itself, but instead it’s almost exclusively an issue with the network it’s being used on. If you’re having problems connecting to FaceTime on a WiFi network, be sure the following ports are forwarded (or open) on the firewall: 53, 80, 443, 4080, 5223, and 16393-16472 (UDP). Apple has dealt with enough of the port forwarding issues to release a support article on the topic, which is where the aforementioned port numbers are from. FaceTime isn’t alone here though, this is actually a really common problem with computer based video chat services like Skype and iChat too, and having the ports straightened out almost always solves the issue. While this is a problem that any video conferencing product will encounter, there are various approaches that can “get around” port forwarding problems. For example, Skype will make an attempt to create a direct connection through open ports, then try to use UPnP to auto-configure the router, but if it still can’t connect, it will connect through a computer that DOES have an open connection to setup the chat. It’s unfortunate to hear that Apple’s implementation isn’t nearly as robust as Skype’s. Most corporate firewalls will not support UPnP for obvious reasons, and as a result will likely have problems with iPhone 4. I’m surprised Apple does not have their own servers to push the calls through. I ‘never’ have problems with Skype (or any other program connecting to peers) and frequently have problems with FaceTime; such a headache. I have an iPhone 4 which works fine with Facetime using a Netgear 624 WiFi router but I can’t get Facetime 1.02 to connect through the same router from a Mac. I think there is actually something wrong with the Facetime Application. I checked the Apple Support site but they don’t have any help. Ports are not the problem. Skype work fine by the way. I recommend that you write down your present DNS number for safekeeping before you make this change. I hope this solves your FaceTime connection problem! I had the same problem, the message above worked for me. Thanks Brad, this worked for me. Have just tries changing my DNS nos and the problem that has been driving me nuts has now been solved thank you.